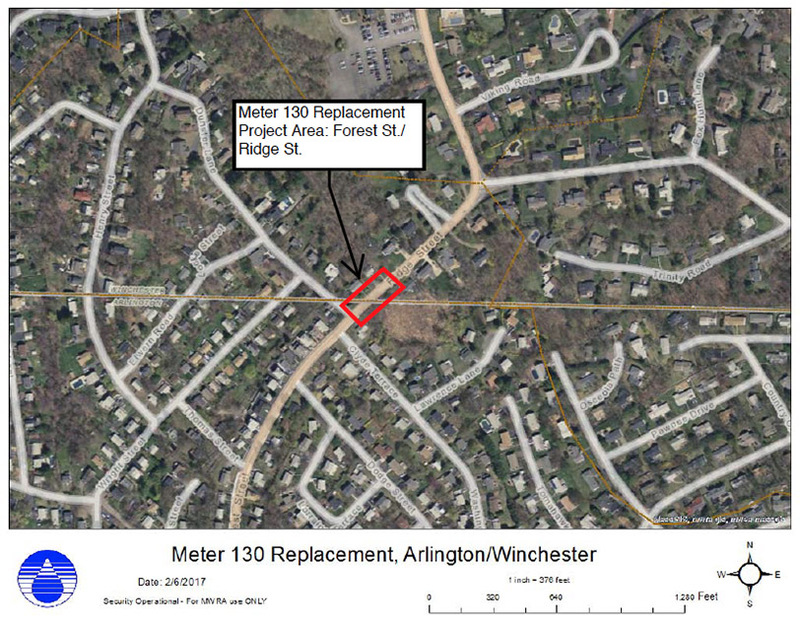 On Monday, April 8, 2019, the Massachusetts Water Resources Authority will begin Phase 2 of construction on Meter 130 near 6 Ridge Street in Winchester. When possible, the excavation will be covered with steel plates and the road will be reopened at the end of the day. The work is expected to last 3 to 4 weeks. During this time, Winchester will be supplied through connections with Arlington and Lexington. Discolored water is not expected from this work, but is possible. If discolored water does occur, it will result from a small amount of iron in local pipes. Please note that iron will stain light colored items in your laundry, especially when bleach is used. Residents should check water clarity before washing any white or lighter colored laundry during this period of work. This work will complete upgrades to the meter for improved supply during the higher summer demand period. "Winchester" homepage map courtesy townmapsusa.com, Creative Commons License.